Product code: W642 Categories: Sold Items, Sold Omega Watches. 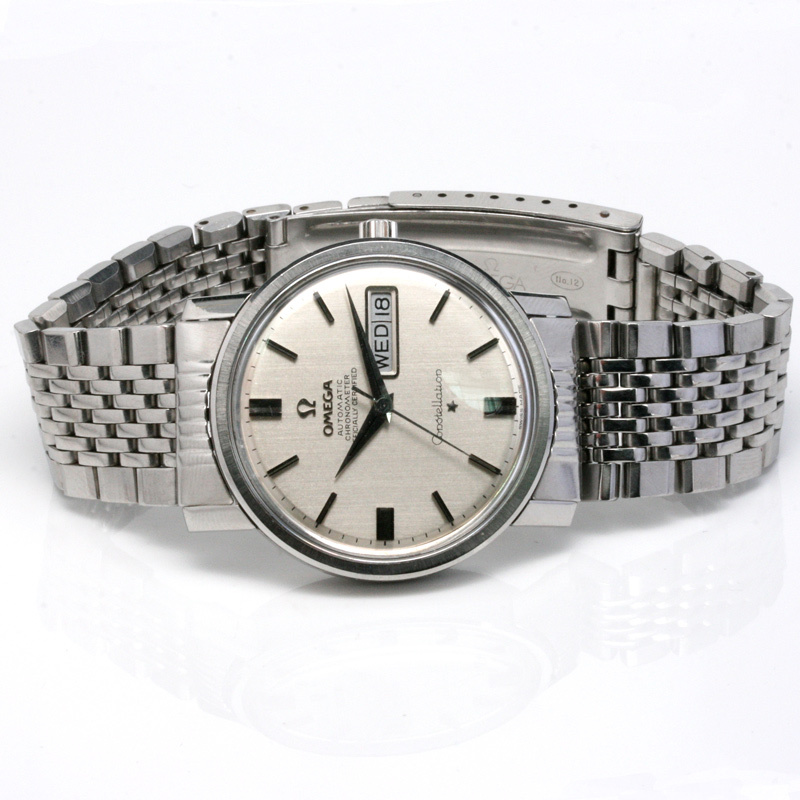 Perfect for day or night here is a great looking vintage Omega Constellation Day and Date reference 168.016 that is all original and in brilliant condition. Dating from 1968, the Omega Constellation has remained the pinnacle of Omega watches with their highest grade and most accurate movements going inside the watch, making the Omega Constellations one of the most sought after watches on the vintage watch market. And not only is this a classic Omega Constellation, but it also features the day and date function which is not often seen on watches especially the sought after Constellation. The watch case measures 35mm across plus the Omega crown and inside it is powered by a 24 jewelled automatic Omega calibre 751 that has been completely serviced and comes with our twelve month warranty. With a classic look and styling to it, matched with the stainless steel Omega band, this vintage Omega Constellation will be so easy to wear all the time and always look so smart and elegant.